Those look yummy love the idea for the wonton wrappers. Tacos are one of DS' favourite meals - never thought to try out individual taco cups. Might have to check these out - thanks! 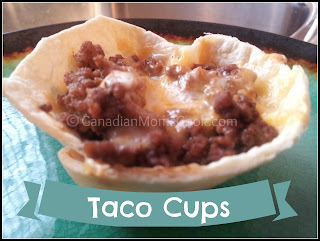 Definitely going to try this for our next taco night! Great idea, definitely going to try this!